While enthusiasm for this regenerative substance has been tempered in the field of hair restoration surgery (HRS) since the initial claims of its ability to possibly provide an “unlimited donor supply,” various theoretical benefits from this porcine bladder-derived regenerative substance have been suggested in both the donor and recipient areas of the scalp. 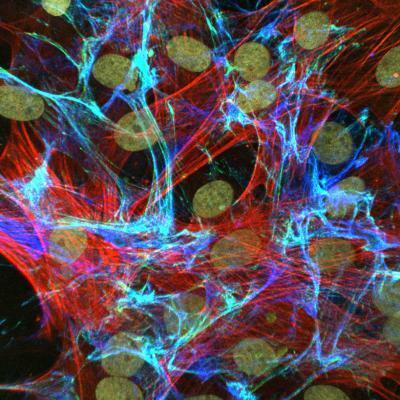 ACell’s MatriStem technology is an acellular scaffold material that triggers new blood vessel formation via the recruitment of progenitor cells. Possessing an intact basement membrane on one surface (conducive to epithelial and endothelial cell attachment) and organized connective tissue on the other surface that can be integrated into the wound bed of the host, this resorbable material boasts a “salamander-like” ability to heal various tissues. Anecdotal evidence within the field of HRS suggests that while the use of this product does not result in invisible scars, intra-operative use of “ACell” (either in powder or sheet form) within the donor wound does appear to improve the texture of the donor area from which hair follicles have previously been harvested. Rather than the more fibrotic scar tissue, the donor area reportedly resumes the feel of “virgin scalp.” This minimization of scar tissue accumulation facilitates any future extraction of donor hair follicles, either via FUE or conventional strip harvesting. Initial findings also indicate that “ACell” may expedite healing within the recipient area and help minimize immediate post-operative evidence of the surgery having been performed. While this benefit is certainly welcome, the much-desired advantage of increased survival of transplanted hair follicles has yet to be demonstrated in a rigorous scientific study. In summary, ACell’s MatriStem technology represents a safe and potentially valuable supplement to both the donor and recipient areas in HRS. More in-depth research is currently being conducted by Dr. Wesley to elucidate its most beneficial use in the field.